Nose correction for purely aesthetic reasons. Complicated surgery to improve breathing through the nose. 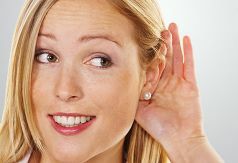 Complex operations to improve hearing. Surgical removal of tumors from the base of the skull . With our high level of specialisation in ENT surgery as well as facial plastic surgery, we are available for consultations with you as a patient. We are also available for professional discussions with specialist doctors, if they have complex surgical questions relating to the areas of the nose, ear and base of the skull. There are many reasons for having a nose correction. Whether for aesthetic or functional reasons, or a bit of both: a high level of specialisation and many years of experience are clearly essential qualifications for any nose surgery. What type of nose do you have? Nose too big, too small, too wide, too pointy? After nose correction the proportions of the nose and face should complement each other properly. 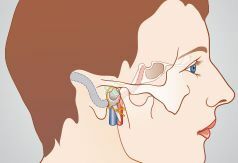 The human sense of hearing and the hearing organ are miracles of functionality – surgical interventions require specific skills in microsurgery. Aesthetic corrections demand finesse as well as an eye for symmetry and proportions. The face and the base of the skull are extremely complex anatomical structures, for which enormous surgical specialisation is needed. Any questions? We are here for you and are happy to advise you during our consulting hours. 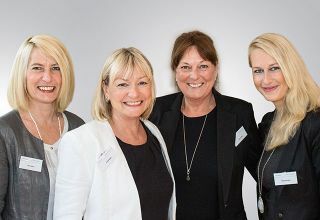 In addition to the three specialist ENT surgeons, the group practice also boasts highly-trained specialist nurses, who also have many years of experience. The entire team is committed to answering any questions you may have about surgical care for the nose, ear and the side of the skullbase.